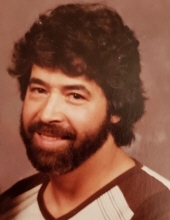 NEW BEDFORD-Richard J. Fernandes, 81, of New Bedford, died Friday, March 29, 2019 at St. Luke's Hospital. He was the husband of Beverly S. (Perry) Fernandes, son of the late Mary (Fernandes) Rodrigues and step-son of the late John Rodrigues. Born in Fairhaven, he relocated to New Bedford in the early 1980's. Mr. Fernandes was a Vietnam era U.S. Army veteran attaining the rank of Specialist, 4th Class. He was employed as a machine operator at White Rock Beverage Company and also held several other positions in area mills. He loved sports and especially enjoyed attending his daughters' soft ball games when they were younger. Mr. Fernandes was a talented artist who drew comic strips and painted murals. He also enjoyed carpentry and was known as the family jokester. His family includes his wife; 4 daughters, Lisa Fernandes and Sarah Fernandes, both of New Bedford, Kristy Fernandes of California and Michelle Brier -Mandly and her husband, Mark of Sandwich; 1 son, Mark Brier of New Bedford; his sister-in-law, Joyce Fernandes of Nebraska; 7 grandchildren, Stephanie, Donald, III, Jaycie, Liam, Avalon, Mileena and Julian; 5 great-grandchildren, Sophie, Ethan, Camden, Donald, IV and Ben; nieces and nephews. He was the brother of the late Thomas Fernandes. Visiting hours are omitted. Committal service with military honors in Massachusetts National Cemetery on Wednesday, April 3, 2019 at 12:45 P.M. The funeral procession will depart from the funeral home parking lot on Wednesday morning at 11:30. To send flowers or a remembrance gift to the family of Richard J. Fernandes, please visit our Tribute Store. "Email Address" would like to share the life celebration of Richard J. Fernandes. Click on the "link" to go to share a favorite memory or leave a condolence message for the family.